Welcome back to our Pinterest Party Link and Pin! You link up your favorite pins, post, Pinterest Boards, Pinterest ID and then pin some that have been shared! If we all do this then we are all spreading great content to our readers. Join in the fun! 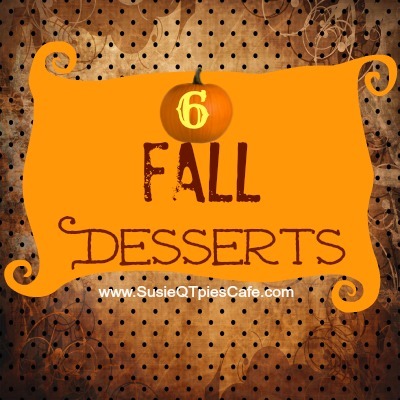 While you are here I have picked out 6 Fall Dessert ideas from last week's party! Enjoy them! I do not have a theme for you to link up but if you have anything fall related, do share! I'm also featuring my Best Ever Cookbooks (with over 13,000 followers) Pinterest board because it rocks! I love checking out all of the wonderful cookbooks and recipes from cookbooks that get pinned there. If you want to be a contributor leave a comment on that board or in the comments below with your Pinterest ID. The weekly Pinterest party is a great time to make new Pinterest friends and pin new content onto our boards. Thank you! 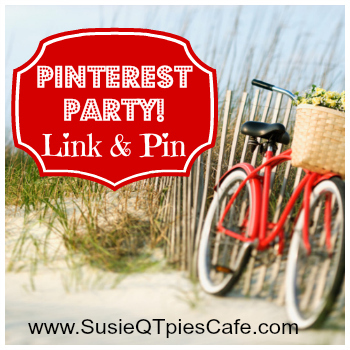 In the weekly Pinterest Party you can link up anything that you want to get pinned on Pinterest! Join in the fun and link blog post, your top pins or top repins, your Pinterest ID, etc. Anything goes! Thanks so much for hosting and featuring our yummy espresso donuts! :) Happy Weekend! I'm off to check out Best Ever Cookbooks and share the word about Pinterest Party Link and Pin!